Description of project: Founded in 2003, and inspired by the art deco look of South Beach Miami. Accented with bright colors, the result is a unique chain of salons with a South Beach Chic appeal. 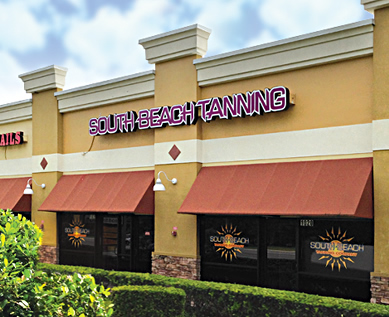 Just like the hottest clubs, customers say South Beach Tanning Company has become the place for tanning. From the moment you walk through the door,you will know this is not your ordinary salon.